Music represented through an energetic visual, that is what this video loop is all about. The red and pink colors send out a strong message. This video loop works perfectly as a motion background, a great digital asset to add to your video collection. 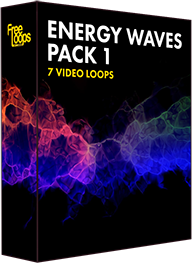 This video loop is part of Energy Waves Pack 1.